Adding quality audio to an electronic project is surprisingly difficult. People tend to end up either using low-quality ISD chips (you might get 8Khz sampling rate for 30seconds out of these, if you're lucky!) or mucking around with trying to control a CD or MP3 player. Although it's possible to generate audio direct from a microcontroller using a PWM output, the quality is often low and it's hard to fit a lot of music in an EEPROM chip. 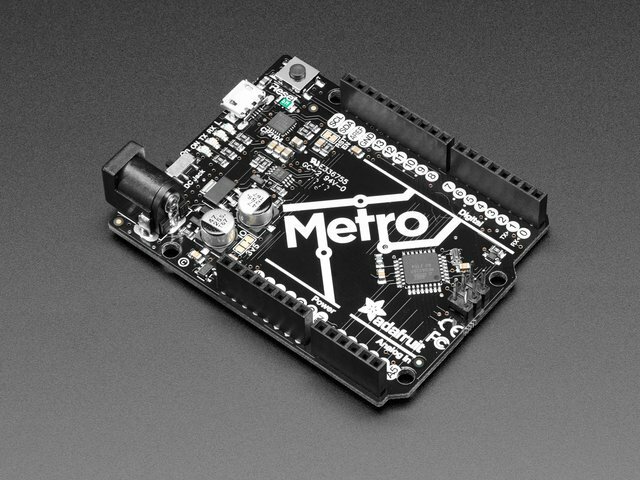 You can buy an embedded MP3 player board, but they're either expensive or difficult to use! 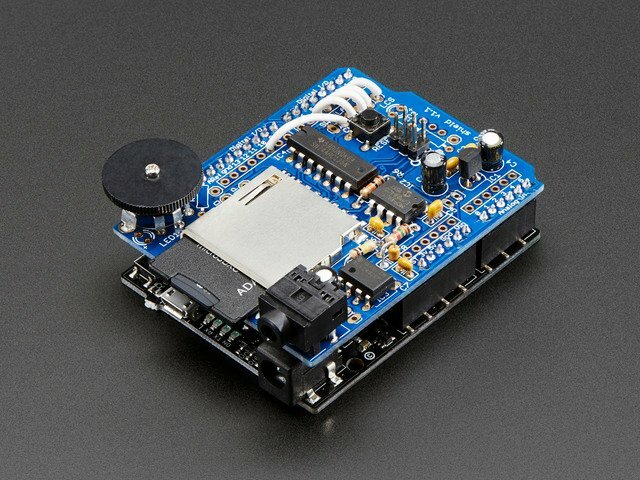 Here is a shield for Arduino that solves many of these problems. It can play up to 22KHz, 12bit uncompressed audio files of any length. It's low cost, available as an easy-to-make kit. It has an onboard DAC, filter and op-amp for high quality output. 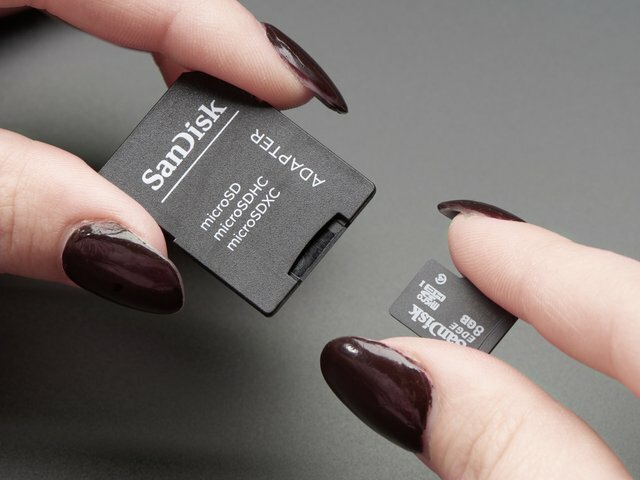 Audio files are read off of an SD/MMC card, which are available at nearly any store. Volume can be controlled with the onboard thumbwheel potentiometer. Click on the play button to watch a demo of the wave shield playing assorting audio through a small speaker. Can play any uncompressed 22KHz, 12bit, mono Wave (.wav) files of any size. While it isnt CD quality, it is certainly good enough to play music, have spoken word, or audio effects. Output is mono, into L and R channels, standard 3.5mm headphone jack and a connection for a speaker that is switched on when the headphones are unplugged. Files are read off of FAT16 formatted SD/MMC card. Included library makes playing audio easy. Use the AT&T text-to-speech site to make snippets of speech that you string together for a talking project, like.. This guide was first published on Jul 17, 2013. It was last updated on Jul 17, 2013. This page (Overview) was last updated on Apr 19, 2019.